There are applications that require a minimum level of melted adhesive according to the customer’s gluing needs. 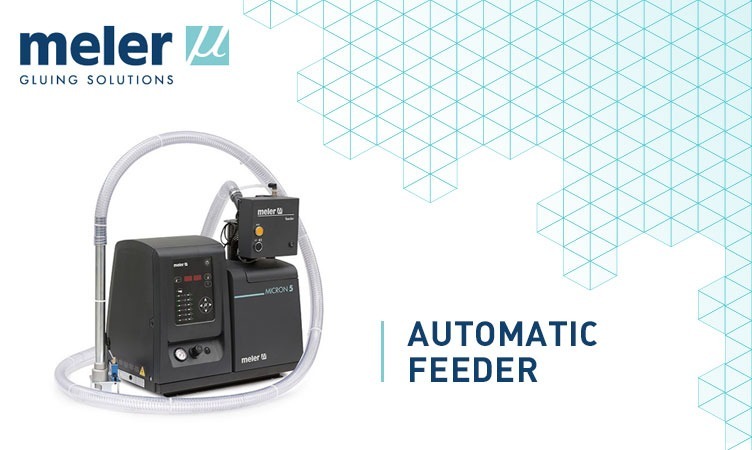 For these cases, the Meler automatic feeder, which belongs to the Micron series, guarantees a minimum level of adhesive inside the melter, avoiding the need for manual filling by the user. 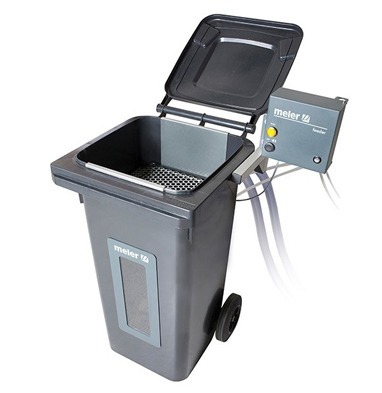 The automatic feeder has a sensor located inside the tank that detects low adhesive levels, sending a signal to the suction system to transfer pellet charging to the melter tank if it needs it. Another of the major advantages of this unit is the adhesive care that it provides. 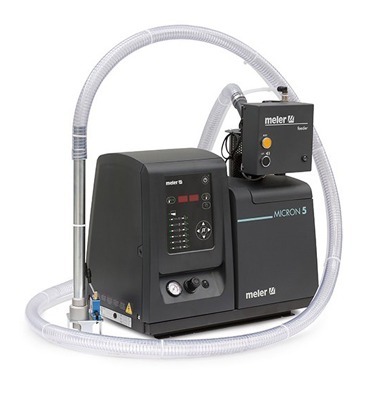 Thanks to the automatic charging of adhesive, the unit is fed according to the application and a minimum level of melted adhesive is maintained at all times. Being a closed system prevents its external contamination. The user can also complete the installation with a 50 kg container to increase system autonomy. This option has various possible configurations that the user can choose depending on their needs. From the standard basic unit to complete installation with optional accessories, such as a minimum adhesive level sensor inside the container, a remote reset button whose function is to restart charging in situations in which the unit is inaccessible to the user or a grille that prevents the adhesive from becoming compacted. If you want to find out more about our products, visit our website and access our data sheets.